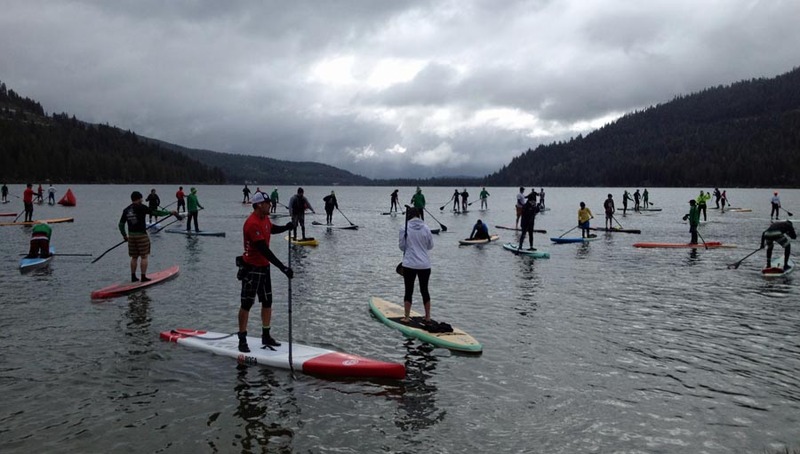 The Fall Classic is the final race of the O’Neil Paddleboard Race Series. Competitors begin the race from Camp Richardson Marina and finish at the Kings Beach State Recreation Area. This endurance paddling event is 22 miles in a straight line. Wind, waves and navigation errors can significantly lengthen that distance. Some of the best paddlers in the country are expected to attend. Paddlers, both stand-up and prone, will carry food and water for the journey. Top paddlers will finish in just over 3 hours, while the last finishers will take more than 7 hours. The top stand-up paddlers should arrive at Kings Beach shortly after 11:00am. 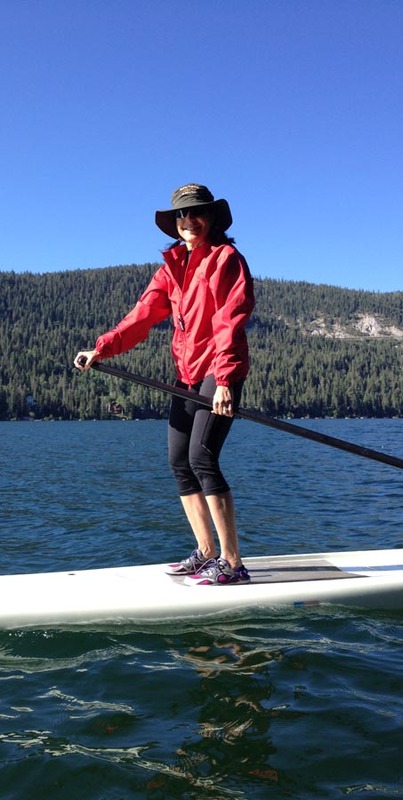 Prior to the start of the May 2012 Donner Lake Cup event. 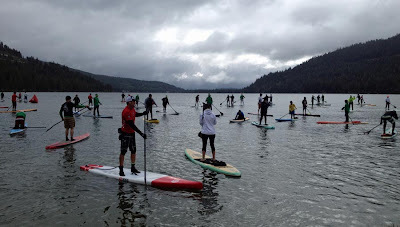 Stand-up paddling is a relatively new sport that is growing in popularity.The finish line is a good place to hang out and learn about the sport. There will be plenty of people to talk too regarding boards and equipment if you are interested in getting started.